MyScrapNook – How to remove? 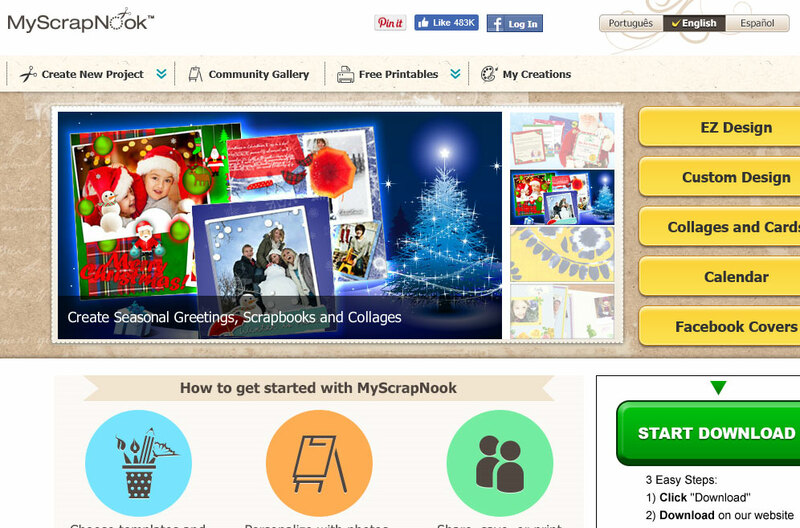 MyScrapNook is a potentially unwanted application developed by the infamous Mindspark Interactive Network Inc. It is advertised as a toolbar that allows you to create and share cards, kits, templates, and so on. Although this may seem like something useful, the app is categorized as potentially unwanted and ad-supported for a reason. It uses the bundling distribution method and once installed, it starts inserting its sponsors’ content into your browsers and causing other unwelcome changes. If you decide that you do not wish to deal with its disruptions any longer, this article will help you get rid of MyScrapNook. As we have stated above, MyScrapNook uses the deceptive bundling distribution method, which allows it to enter computer systems undetected. It is rather possible that the app appeared on your PC after you acquired some other freeware and paid little attention to its installation process. Oftentimes, potentially unwanted and ad-supported applications are hidden in the Advanced mode of the setup. They can be deselected only if the user chooses this mode and declines all optional offers. We advise you do that the next time you download free software from a third party source. Once inside, MyScrapNook gets added to your browsers as a toolbar. It presents you with Create New Project, Free Printables, Community Gallery, and some other quick access buttons. In addition to this, it is also rather likely that the toolbar will modify your browser settings including your home page and default search. These preferences could be replaced with Ask.com. Just like the ads that you will now see no matter where you go online, the settings modification is done to provide you with advertising data as well. What you should be aware of is that none of the adverts are verified by any scanners or other security systems, so they could be unsafe. It would be best to stay away from them until you eliminate MyScrapNook from your browsers for good. If you want to erase MyScrapNook from your browsers and go back to your original settings, you have two options to choose from: manual or automatic MyScrapNook removal. The first option requires you to complete several tasks like uninstalling the program from your computer and restoring your browser settings. These tasks are described in detail in the MyScrapNook removal guide provided below the article. If, however, you choose to go with the more efficient and reliable option, you will need a malware prevention and removal tool. The utility is also provided on our page. If you make use of it, it will perform a full system scan and detect all unwanted files and programs that you have on your PC. The security software will then delete MyScrapNook along with other unsafe components. Moreover, it will provide your system with online protection in real time, so you can surf the Web without having to worry about other Internet-based infections.